Giving details of the event Dr. Rajiv Bali (Principal, Desh Bhagat Dental College) said that Eminent Gastroenterologist Dr. Nitin Shankar Behl (Senior Consultant and HOD, Fortis Hospital Ludhiana) was the guest speaker on this occasion. Almost same is happening in the case of Hepatitis C (HC). He said that we can save ourselves from Hepatitis with awareness and some prevention. Test of Hepatitis from time to time is a must for safety. Like Polio Awareness we have to start a movement against all types of Hepatitis to protect from such a serious ailment, he added. During his two hour lecture Dr. Nitin discussed several points and shared his views regarding how to overcome our weaknesses and how to achieve the desired goal. 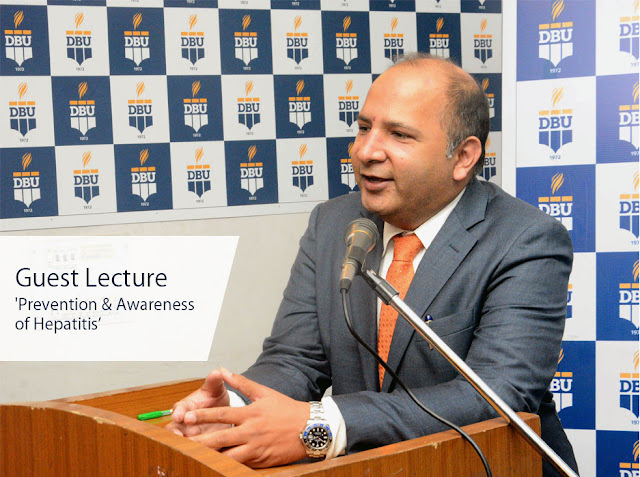 Students of BDS Courses in Punjab at DBU evinced a keen interest in the lecture and during the interaction session, they asked relevant questions on concerned topic which the learned speaker answered to their entire satisfaction. The students expressed their satisfaction and felt encouraged. 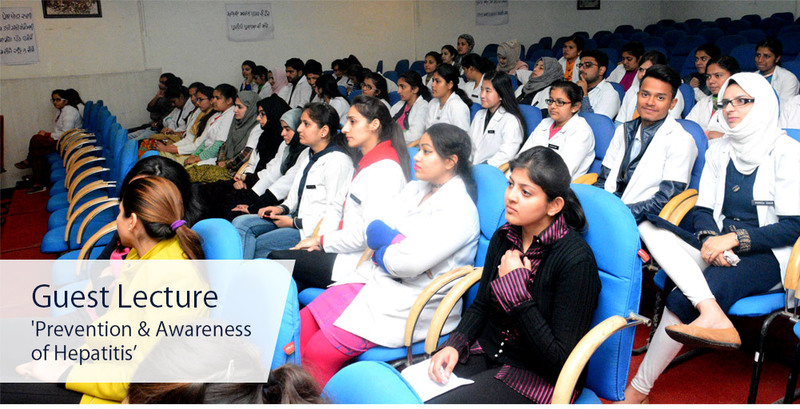 Desh Bhagt United Chairman Dr. Zora Singh and Vice Chairperson Dr. Tajinder Kaur appreciated the initiative taken by the Dental College and said that such lectures add to the knowledge of the students and enhance their self-confidence. Among others Vice-Principal Dr. Sanjiv Soni, faculty members of Dental College, various practitioners from Amloh, Mandi Gobindgarh, Khanna and Sirhind were also present at the occasion. Certificates from Punjab dental council (with 6 CDE) points were distributed to the participants.